This wood cross features the the words, "For God so Loved... I'm forgiven. 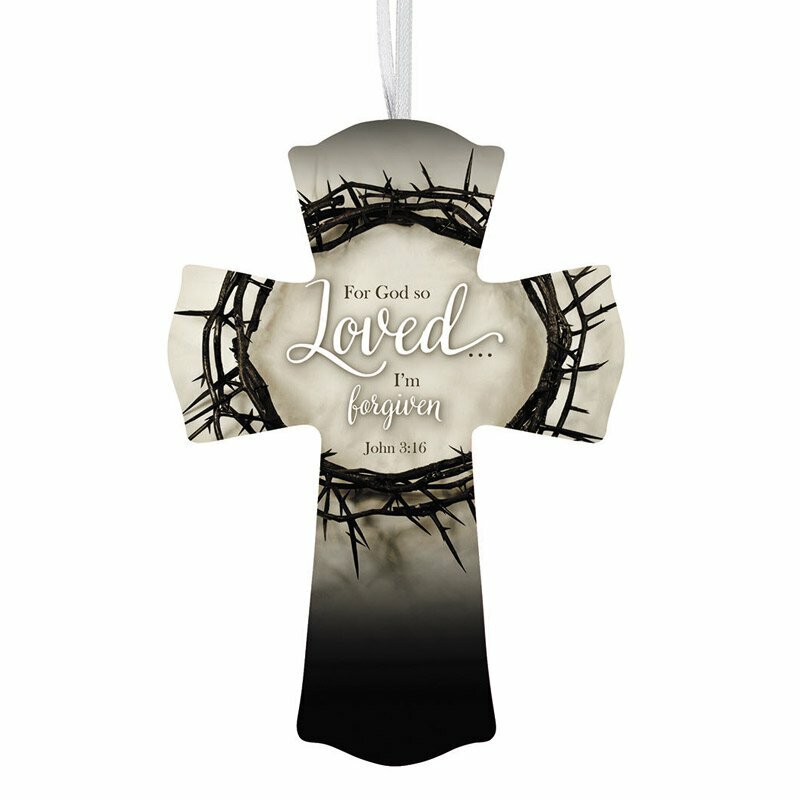 John 3:16" on the front and includes a ribbon hanger. Perfectly priced for Easter gifts and give-aways.